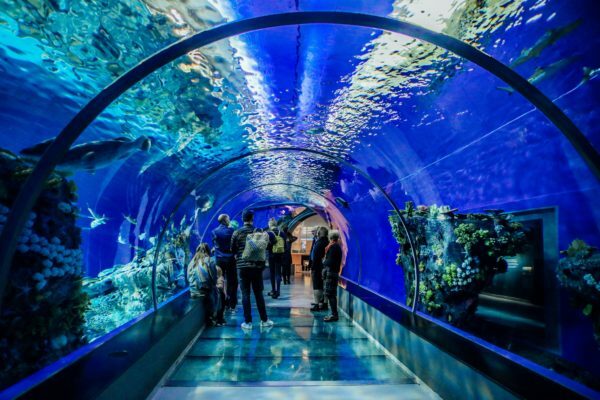 Editorial note: In 2017 The Ocean Project launched a new initiative to support zoos, aquariums, and museums (ZAMs) in getting more involved to effectively inform science-based fisheries policy and advance action for healthy, sustainable marine ecosystems. The focus is U.S.-based visitor-serving institutions but some of the lessons learned can be — and already have been — applied to other issues and in other countries. 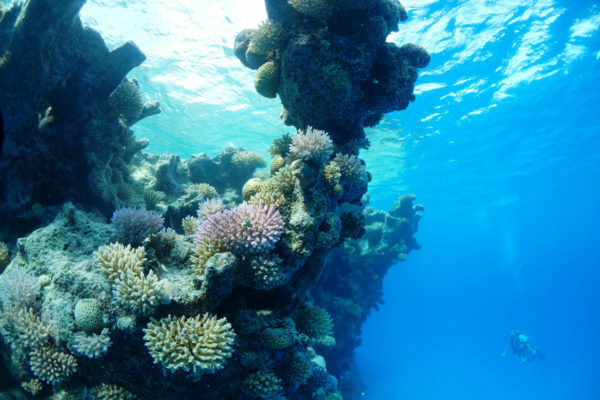 Over a period of more than 10 years, a group of dedicated South African marine scientists developed a proposal for the establishment of a network of 22 new Marine Protected Areas (MPAs). 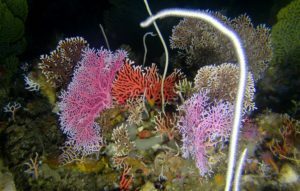 This network aimed to protect a representative portion of South Africa’s unique marine ecosystems and contribute toward increasing the MPA network from 0.4% to 5% of the Exclusive Economic Zone. In February 2016 the South African Department of Environmental Affairs published draft notices for this network of new MPAs. The proposed MPAs then went through an extensive and detailed public participation process and were ready to be proclaimed by mid-2017. 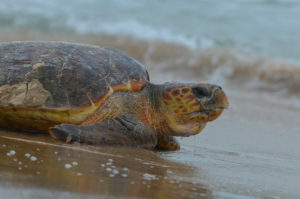 However, by mid-2018 there had been no progress, in fact, word on the ground was that other economic interests were starting to negatively impact the MPA discussion. Similar to the rest of the world, terrestrial protected areas are well known in South Africa. However, the same cannot be said for their marine counterparts. 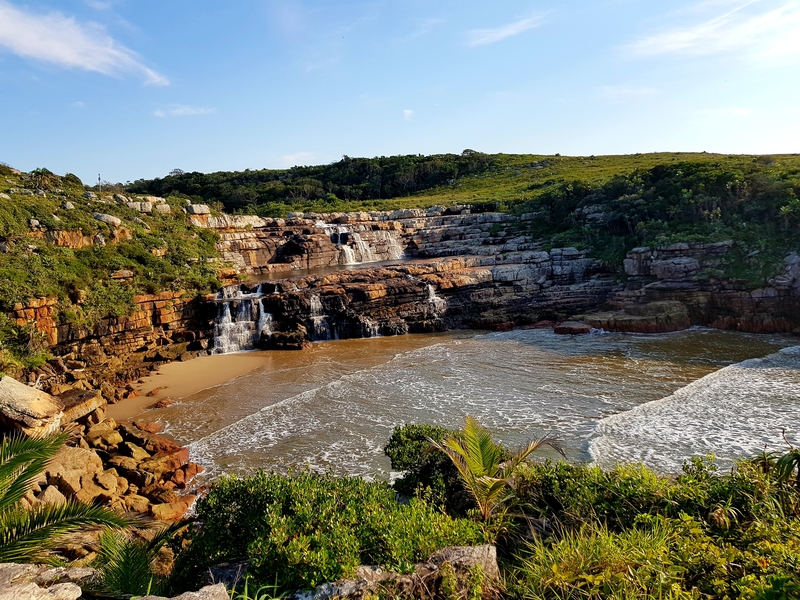 MPAs are critical for the conservation of valuable marine biodiversity and they play an important role in ensuring the prosperity of South Africans – both socially and economically. But most people in South Africa have never heard of a Marine Protected Area and their value is not appreciated by most decision makers or the South African public. 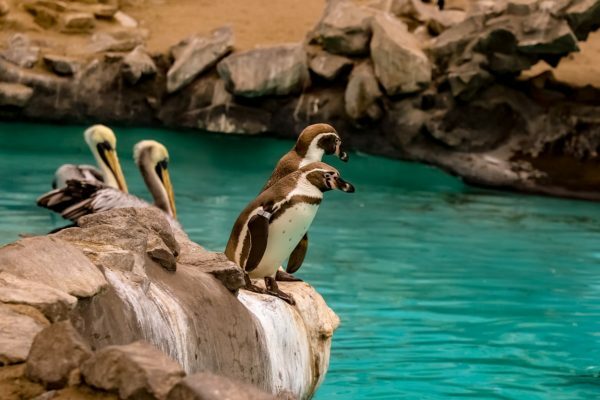 In an effort to support the Government to proclaim the new MPAs, in July 2018 SAAMBR, the NGO responsible for the uShaka Sea World Aquarium and the Oceanographic Research Institute (ORI), decided to launch a campaign to introduce the almost 800,000 annual aquarium visitors to the existence of MPAs and highlight the role their role in conservation. Working from the familiar to the unfamiliar, our campaign used terrestrial ecosystems and protected areas as a bridge to their marine counterparts. Kruger Parks of the Ocean. Inspired by the policy focused initiative of The Ocean Project, we designed the communication to be positive with a clear call to action and an ‘ask’ that would engage visitors to support MPAs and encourage government officials to make wise decisions. To begin with we undertook a baseline survey of visitors’ knowledge of MPAs. Results showed that less than 20% of visitors could name one MPA in South Africa. This reinforced our decision – a campaign on MPAs was definitely necessary. To link terrestrial and marine ecosystem conservation we designed an interpretive graphic (Fig. 1) that shows South Africa’s terrestrial conservation areas and current and proposed MPAs, and the ecosystems that they will conserve. We included a series of 22 large photos (Fig 2), each highlighting a different feature of each of the MPAs. Interpretive signage about the importance of MPAs and some activities for children were also designed, in collaboration with our enthusiastic team of educators (Fig. 3), all of whom received information and training on the MPAs. Fig. 2 Large photos highlight features of each new MPA. 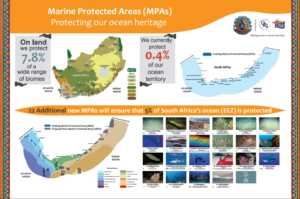 In collaboration with research colleagues based at the South African National Biodiversity Institute (www.sanbi.org), a new video (https://youtu.be/LI7Xx21ESoY) was produced for decision makers, highlighting the value of the MPAs and a new website with detailed information on the MPAs was designed (www.marineprotectedareas.org.za). The video is shown in the exhibit and the website is accessible on tablets. Building on recommendations from The Ocean Project’s policy focused initiative as undertaken in other aquariums, we worked on another short video that would highlight successes in our current MPA network, SAAMBR’s role in research in MPAs and ‘ask’ visitors to contact the relevant Government agency with their support for the new MPAs. Postcards were designed for visitors to sign, asking the President of South Africa to proclaim the new MPAs. Fig 3. The maps, explained by our education team, are popular with both adults and children. The campaign was launched with much social and traditional media support (www.saambr.org.za). 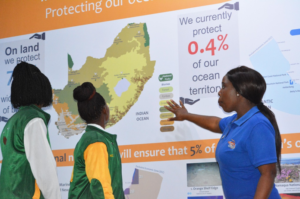 Before the short video with the ‘ask’, and the postcards could be finalized, the South African Government, on the 25 October 2018, announced its intention to proclaim the new MPAs! https://www.gov.za/speeches/statement-cabinet-meeting-24-october-2018-25-oct-2018-0000 This was an exciting moment for the team who had worked so hard for so long on this project. This proclamation means that, for the first time, there will be formal conservation to protect vulnerable offshore ecosystems from fishing and mining. It also meant that we needed to change our campaign! Instead of asking the Government to proclaim the MPAs, we decided to use the postcards to express visitors support for MPAs. We will also redesign our ‘ask’ video to focus on positive actions visitors can undertake to support MPAs. We are not yet there and the next step is for the Government to declare the MPAs with regulations and then effectively manage the areas. 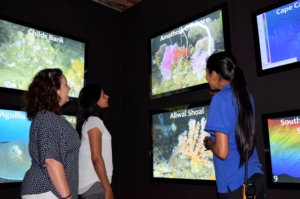 So we will continue to raise awareness through the campaign in the aquarium and will conduct an evaluation of the impact of the exhibit on visitors’ knowledge of MPAs. A post-graduate student has also initiated a research project to investigate knowledge of and attitudes to MPAs in South Africa. The exhibit is, therefore, the start of a wider communication campaign that will focus on ocean literacy and the role of MPAs in conservation. Look for a future blog posting for more news as the campaign rolls out and the research results emerge!